Cloud and managed services provider, Brennan IT, has taken out two major awards in May, taking home the Sophos Partner of the Year award and receiving the Huawei Award for partner excellence in the southern region. Each year, IT security and data protection firm, Sophos, rewards the best performing partners that have achieved exceptional success over the past year. 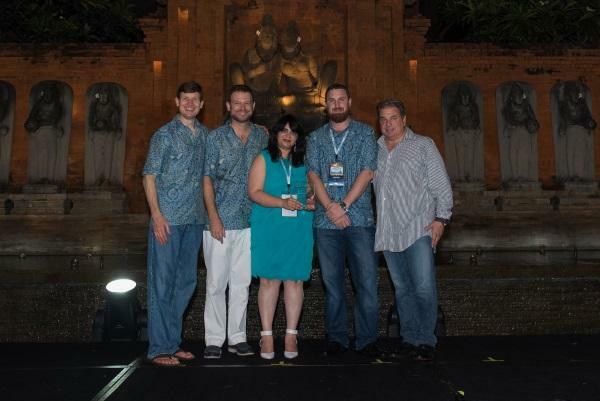 At this year’s partner conference in May, Brennan IT was recognised for its performance and growth. Also in May, telecommunications solutions provider, Huawei, celebrated Brennan IT for its company performance in the areas of technology, quality, service and accurate delivery and pricing. The award was presented at Huawei’s first Southern Pacific Conference in Singapore, in front of more than 200 partners across A/NZ, Indonesia, Malaysia, Philippines and Singapore. Brennan IT managing director, Dave Stevens, said the award reflects the company’s dedication and strategic collaboration with partners such as Sophos and Huawei to develop innovative solutions for its clients. He added that the awards were a testament to Brennan IT’s ongoing efforts to stay ahead of the curve. “Being recognised by two internationally renowned companies in one month is such a great achievement for us. We are passionate about making clients lives easier and want to be known for our continued innovation. "We aim to provide solutions that save businesses money, and improve efficiency and competitiveness. Awards such as these are further validation that we’ve got a winning strategy and are continuing to deliver outstanding results that our customers expect from a market leading company," he said.